Close-up of CVA 99-737. 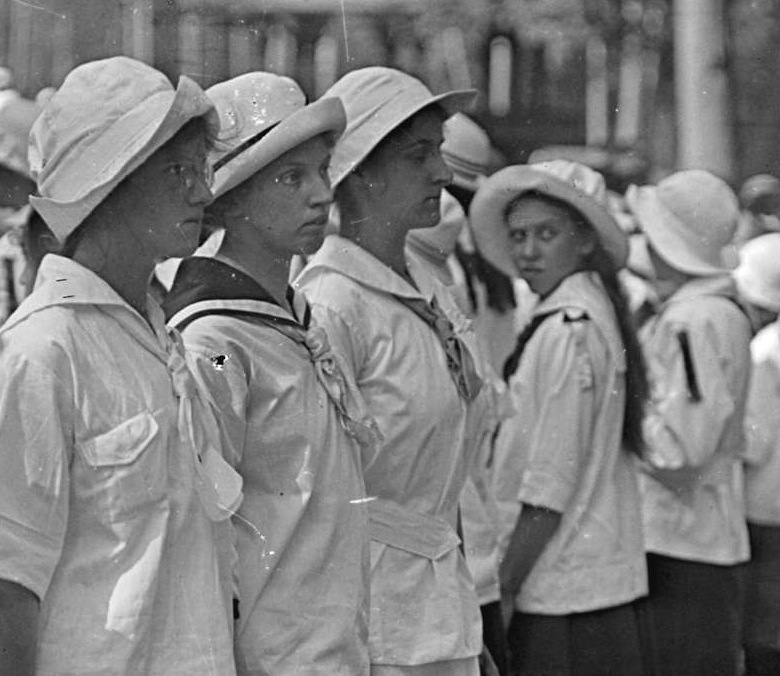 Unidentified girls group, ca 1917. Stuart Thomson photo. The look on the face of the girl looking over her shoulder is, in my opinion, priceless. She seems to be looking toward one of the leaders of this (early girl scouts?) group — a male. And it’s plainly not a look of respect! To see the whole image, click here. This entry was posted in parks, people, Photographers, sport, stuart thomson and tagged bc, girl scouts, history, Stuart Thomson, vancouver. Bookmark the permalink. 1 Response to Fearless Loathing?